Beautiful but practical clothes are gradually replacing extremely short dresses and high heels from fashionable catwalks. 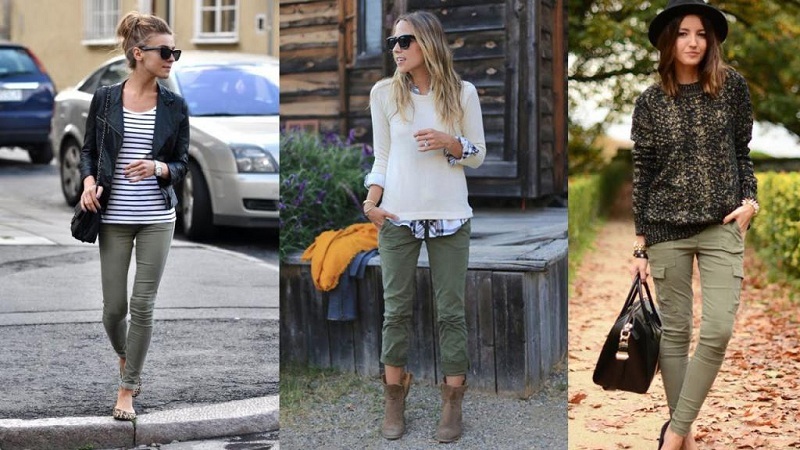 Today, in the trend, sneakers, shirts and cargo pants, which designers refer to the military style? What to wear with these women’s pants? What shoes to choose from? Now we will tell about all this in more detail! What is a cargo pant? 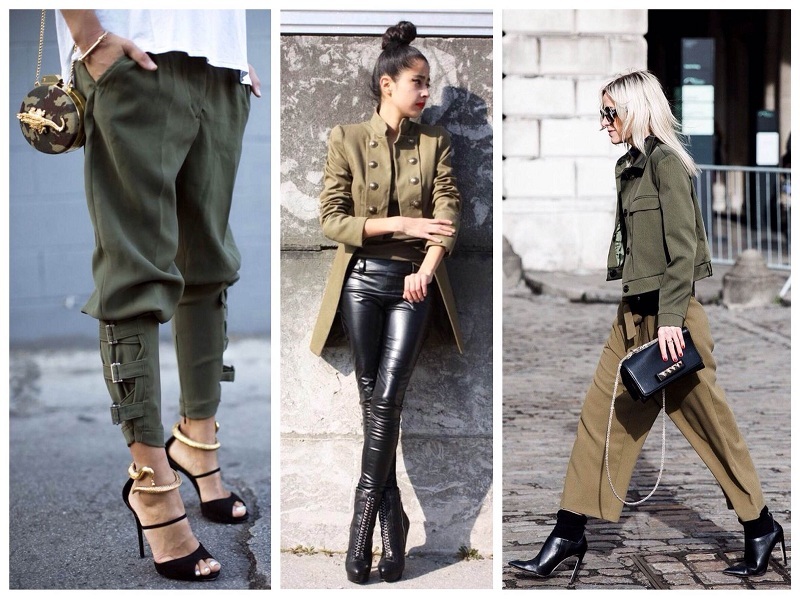 Stylish military-style clothing is not too wide trousers with a fit on the hips, complemented by pockets with metal fittings. 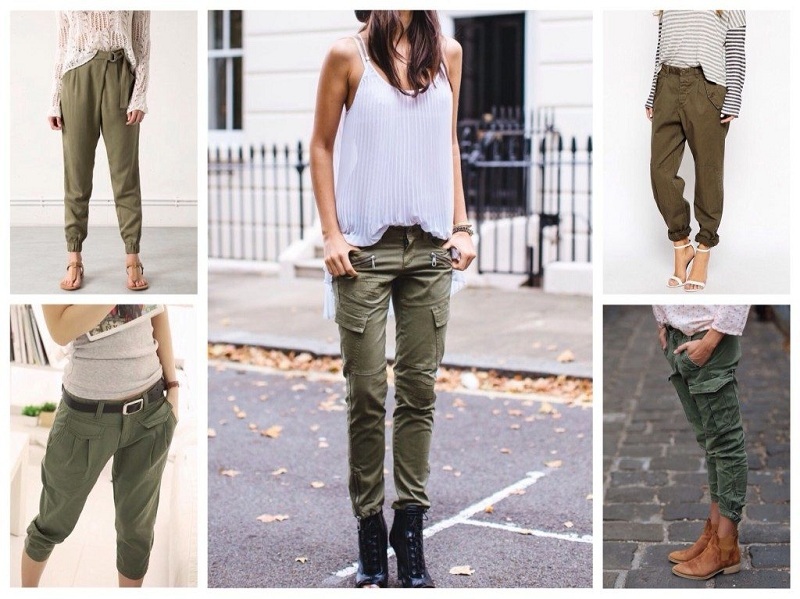 Most often, women’s cargo pants are painted in green, black or gray, popular models made in khaki. A wide range of models allows you to choose pants that will hide any figure flaws. It is believed that this type of clothing appeared during the Second World War. At that time, such trousers were worn by the military; a few decades later, stars dress in the rock and roll genre fell in love with these clothes. 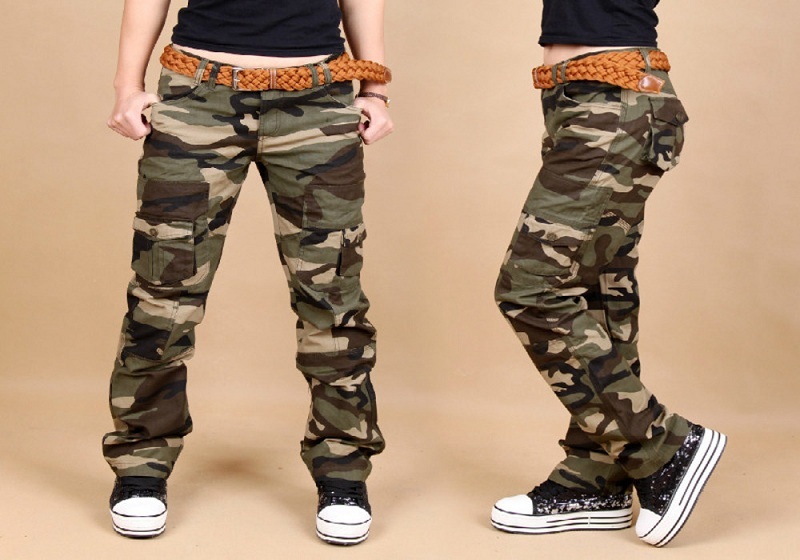 Fashionable cargo pants like women who love simple and comfortable outfits, you can use them to create a look in the style of casual, military, and grunge, retro. 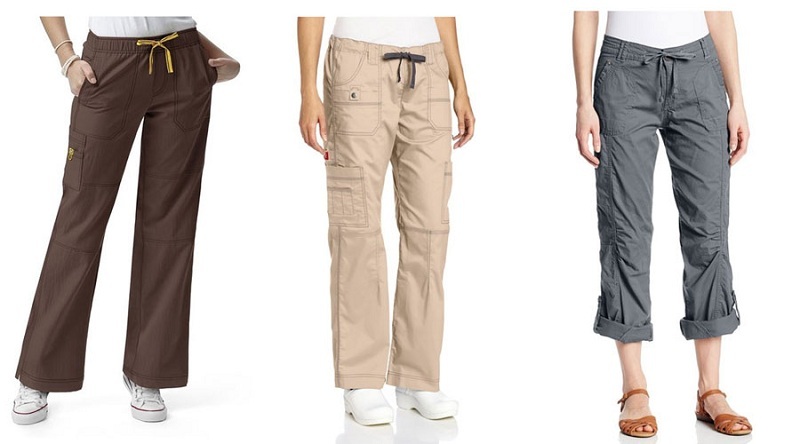 What is the combination of summer cargo pants? 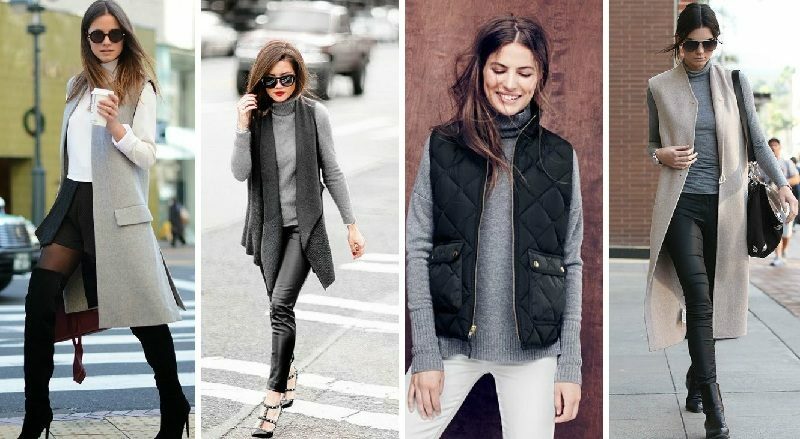 fabric, fur and blown vests that look good paired with an elongated shirt. Tip! Modern women of fashion prefer to tuck this type of pants that does not always look beautiful. The fact is that the clothes are decorated with massive pockets, the turns can make your image too coarse. Tuck the pants, pay attention to the features of their cut. If the product is baggy and free, then you should not supplement it with unnecessary elements. But narrow cargo, decorated with stitched pockets, you can safely tuck, which will make the legs thin, slim. You can wear this type of clothing with different models of shoes, depending on the shape and cut of the pants. Narrow cargo with small pockets looks just brilliantly paired with platform sandals, open models of shoes with heels. If you tuck in narrow cargoes, you can wear them along with topsiders, loafers or ankle boots Khaki-colored cargo models, worn with army boots, hikers, in summer, you can opt for plain sneakers or sandals. Important! Responsibly approach the choice of shoes, because a wide model looks better with sneakers and a narrow one – with ballet flats or sandals on a neat heel. Traditionally, cargo pants complement the wide or narrow strap without decorative elements, except for the color inserts and small buckles. The most advantageous will look black, green, brown belts made from fabric or leather. Important! Choosing summer pants, pay attention to lightweight models made from cotton. They are well breathable and perfectly tolerate washing in a typewriter. Cargo is associated with the freestyle, so you should stick to this line when choosing accessories. 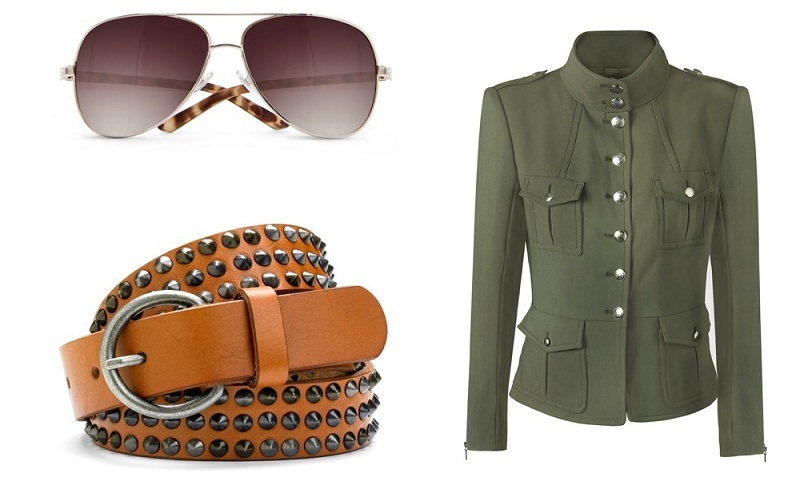 Classic cargoes are decorated with pockets and bright accessories made of metal, so they can be combined with unobtrusive silicone or fabric bracelets, massive army watches, borrowed from the men’s collection. If you wear pants with shoes on a flat sole, then choose a bag decorated with buckles, textile elements. It is better to give preference to a model having a sand, olive shade. Tight pants look great with a clutch bag, messenger bag or knapsack, the design of which has references to the military style. Choosing such pants, you bet on incredible comfort and beauty. Cargo will emphasize the strengths of your figure; they are suitable for both lush and skinny girls. Putting on T-shirts with pants, cropped jackets or shirts, you can create very original looks!